From CAD design to manufacture Darke will work with you and your architect, or design co-ordinator, to bring together and realise a solution. Using these very latest CAD/CAM systems we can go from design to manufacture of complex parts and assemblies very quickly. The Computer Aided Design (CAD) workstations have AUTOCAD LT 2009 software installed, and are linked to the Internet for email and web services, from which design and manufacturing data can be mailed to us direct, enabling a quick exchange of data between us and the client. We are familiar with specialist construction data sharing packages such as Aconex and Buildonline for information transfer and management. Our large workshops are equipped with the latest CNC plasma cutters, bending and rolling machines. 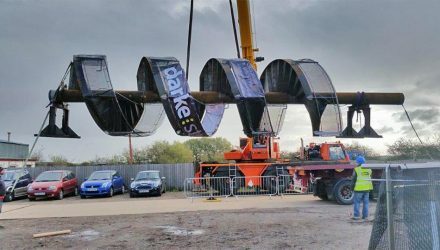 We can assemble very large structures at our works prior to installation and our proximity to the motorway means there is easy access for abnormal loads. Our experience and partnership approach with architects, means that we have the confidence to price work that is not fully developed from concept drawings. We are a great believer in the use of full size prototypes particularly in our architectural work. We have often tested balustrade designs at our workshops in conjunction with the engineering department at Peterbrough College. Almost, without exception, we find that the prototypes out perform the theoretical design calculations. View prototype and completed balustrades in the picture gallery. 4.25 acre owner occupied industrial site see location map. Guillotine – 1 mm to 15 mm x 3 meters. 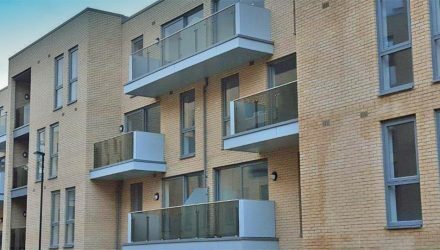 Toughened & laminated glazed balustrade and screens.